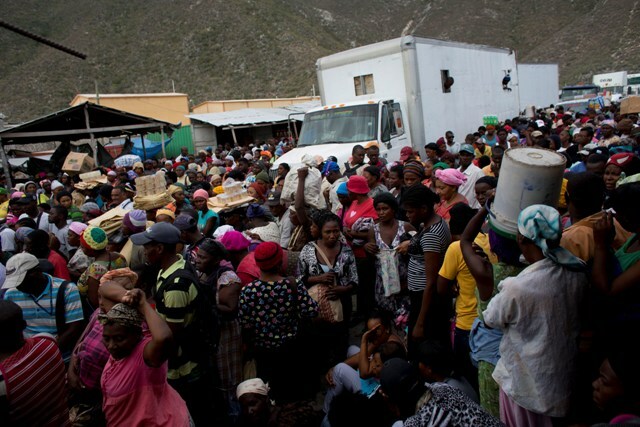 Salem Radio Network Spotlights Crisis In Haiti | Broadcast Public Service: Local Stations. Big Impact. Salem Radio Network Vice President News and Talk Tom Tradup recently traveled to Haiti to spearhead the network’s coverage of the country’s major humanitarian crisis and to work with the charity Food For The Poor. Salem Radio Network personalities who broadcast live reports from the refugee situation in Haiti included syndicated hosts Bill Bennett, Mike Gallagher and Hugh Hewitt, plus local hosts Joe Piscopo of WNYM-AM New York, and Mark Davis and Jon-David Wells of KSKY-AM Dallas.